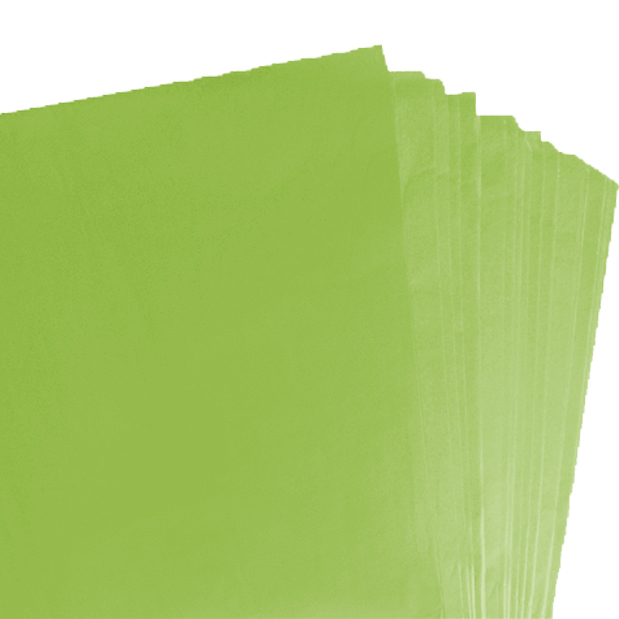 2000 sheets of high quality lime green coloured acid free tissue paper, dimensions 500mm x 750mm. This is an extremely high quality acid free tissue paper with a weight/strength of 18gsm. Acid free tissue paper is great for presentation, and also required when packaging items that are designed for food use (eg. crockery, cutlery etc). Acid free tissue must be used when packing these items, to prevent acid or any poisons being released onto these goods while on the shelf or in transit.